About Our Products — J. A. Rutter Co.
Below you will find the categories of each of our products and some helpful information about each of them. Also, the two following links will give you information about figuring out how much product you need to cover the square footage you have. Should you have questions on the information on the sheets or how to use them please feel free to call or email us. We would be glad to help you! 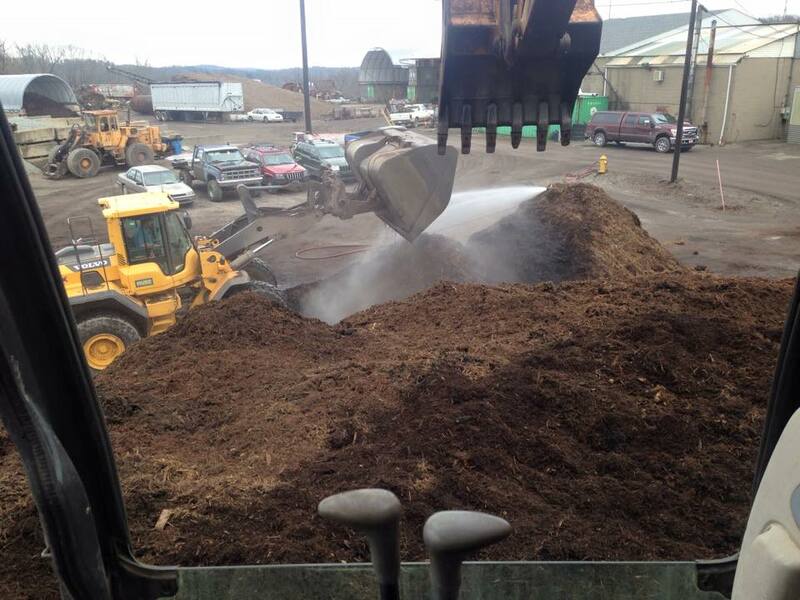 Our dyed wood mulch is made on site from a precise mixture of wood fiber products. We use our own unique colorants that gives the mulch color that lasts all season. It is available by the cubic yard in red, black, and our signature colors of cherry brown and saffron. Our natural bark mulch comes in two different variations . Single shred and double shred. (You will be able to see the difference of the two in the pictures on our product page.) This mulch is constantly decomposing which generates heat so it must be cool to the touch before putting it around plants. We offer a variety of different aggregates. From different types of sandstone , limestone, and river rock to sands. Our organics is made of green wood waste that is brought in. It is a combination of brush, grass, leaves and stumps that we grind up in specific portions mix together and then put into long windrows. It is dark brown in color. It is rich in organic material and has a mulchy look Although it does not hold its dark brown color like our dyed mulch it does, however, have longer color retention than our natural bark mulch. . It decomposes over time so it does loose volume. It is available in 3 sizes.